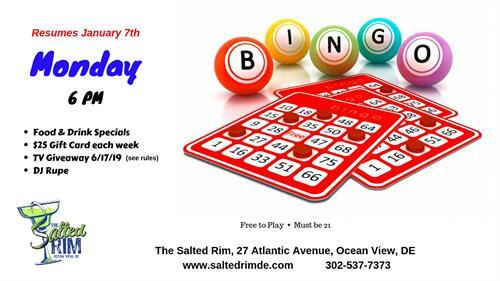 Come join us for B-I-N-G-O every Monday at 6:00 pm. Sign in each week for an entry into the contest. The more weeks you participate the greater your chances of winning! Must be present to win on Monday, June 17th. One entry per week per person. Must be present and play to sign in each week. 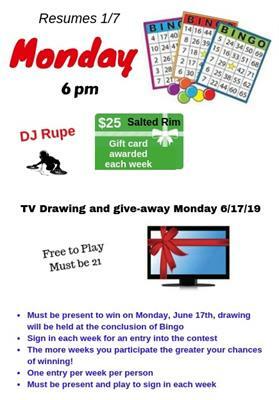 Visit our website http://saltedrimde.com and check out all of our events including Karaoke on Tuesday's, Mingo on Wednesday's and Trivia on Thursday's.